Happy Wellness Wednesday! How are you taking care of yourself this week? The last couple of weeks have been a bit of a struggle for me. First, my injury has prevented me from exercising the way I want to and am used to (and frankly need to). Second, not getting enough exercise always makes me choose not the best foods. I still eat fairly healthy, but there are too many treats and convenience foods that have snuck back into my diet. I’ve also been a bit too loose with gluten (which affects my digestive system, joints and mood negatively - why do I eat it at all you ask? - good question). I decided several weeks ago that I’m going to do the pre-holiday Conscious Cleanse - a food-based cleanse that focuses on whole foods - and it couldn’t come at a better time. 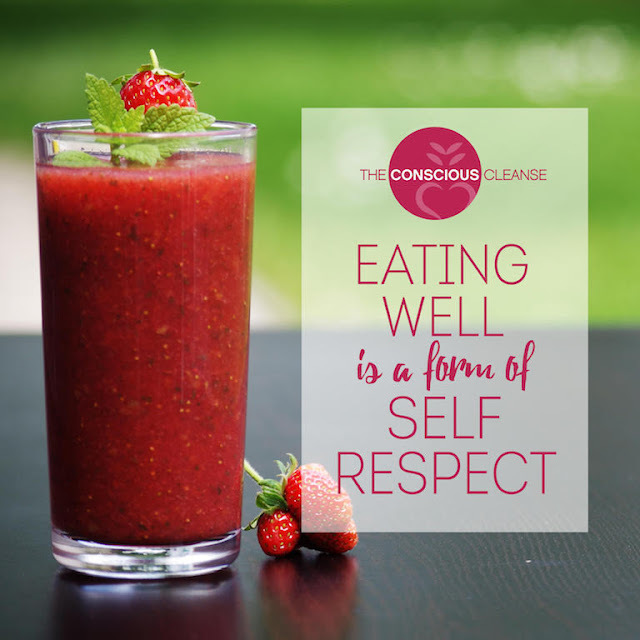 This time of year, which is often stressful, is one of my favorite times to do a cleanse as it really sets the tone for a happy and healthy holiday season - not only food wise but also making time to take care of yourself emotionally. Want to join me? The next cleanse starts on 10/31. Don’t worry, on Day 1 all you have to do is eat more veggies! If you want to read more about my past experiences with the Conscious Cleanse, check out my Conscious Cleanse page. I have been doing the cleanse since January 2013, and it has truly changed my life. For more information, check out the Conscious Cleanse sign up page. If you do sign up, use code ANDREA25 for $25 off. Cleaning up what I eat before the holidays sounds like a good idea! Yes. It definitely always is!